The Rambam's Haggadah and the Ba'al HaTanya's Haggadah lack Nirtzah. @DoubleAA quotes a version of the Simanim poem in which the order concludes with Hallel, as well. Also note the discussion here regarding various mesoros about Chasal Siddur Pesach. Many of the piyutim that comprise Nirtzah are of unknown origin - note Echad Mi Yodeya and Chad Gadya. My question is not about who wrote them. My question is when Nirtzah was widely accepted as a part of the Seder - that is to say, when were these songs tacked on to the end of the Seder? In all of the haggadah texts of the Ge'onim...and Rishonim, none of the piyyutim that we say during nirtzah appear, and the haggadah ends after nishmat. However, by the time of the Rishonim of Ashkenaz (what is now Germany), some began to appear. 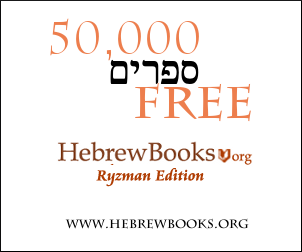 Tashbetz Katan mentions the piyyut of "Ki lo na'eh"...Leket Yosher [written by R. Yosef b. Moshe (1423-1490)] mentions the piyyutim of "az rov nissim," "ometz gevuratecha," "ki lo na'eh" and "adir bimeluchah." Over the years, seven piyyutim entered the Ashkenazic haggadot (and gradually, some of them entered the Sephardic haggadot): "chasal siddur Pesach," "az rov nissim," "ometz gevuratecha," "adir bimeluchah," "adir hu," "echad mi yode'a" and "chad gadya". Not the answer you're looking for? Browse other questions tagged minhag history passover-seder-hagada song-poetry . Why dont chabad say chasal sidur pesach? When was the Yad first used to read the Torah?